Together with the Wytwornia Club, we have one of the largest conference spaces in Lodz with unmatched layout possibilities. We can guarantee experienced staff and the perfect event infrastructure. We tailor our proposals to the specific needs of the client. No matter how big or small you event is, our team will take care of every aspect and detail no matter how small it is. Our conference centre includes the former Film Studios’ halls. They are spacious, with excellent acoustics, and are just perfect for organising both cultural and business events. One of the halls has a height of 16m with a load capacity of 250 kg/sq m.There is a mobile stage which is available upon request. We can also provide a professional lighting equipment to create a suitable atmosphere for the event. We can produce an event from scratch, from hiring an artist to filming the event. There are nine dressing-rooms available on location. 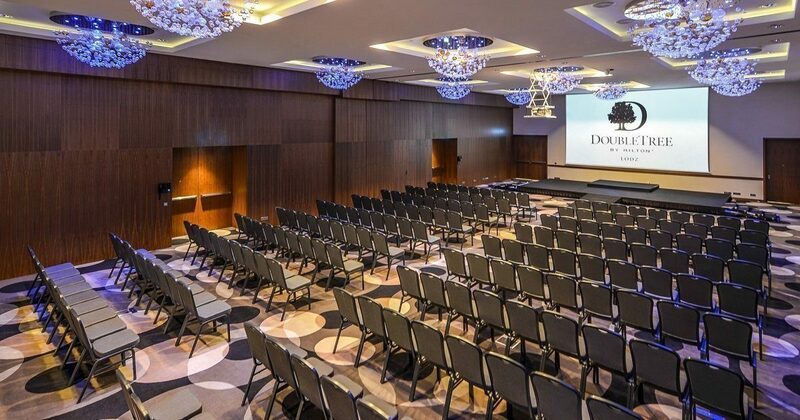 Our facilities guarantee the successful organisation of events such as congresses, banquets, conferences, plays, concerts, fashion shows and new product launches. There are 17 conference rooms available at our hotel. These include four revamped concert and congress halls, a ballroom and a unique Cinema with foyer. Then there is the conference foyer, a perfect place for catering and exhibitions. No matter if you want to organise a private party or an event for more than 1 000 people - we will make it unique.